Algonquin’s DARE district has introduced a place where students have access to a virtual reality system, 3D printers, robotics equipment and student inventions. The coordinator of Algonquin’s Applied Research and Innovation office and the lead of the maker space, Matthew Jerabek, sees the new creative area as a place to build a new community at the college. “The maker space is a place for everyone at the college; it can include external communities and faculty as well,” said Jerabek. There is a sign-up sheet at the space where people can book time in the space whether they go to the college or not. Despite the openness of the space, there are still obstacles to be conquered. Despite the lack of budget, however, there is still a drive to create and continue building a community. 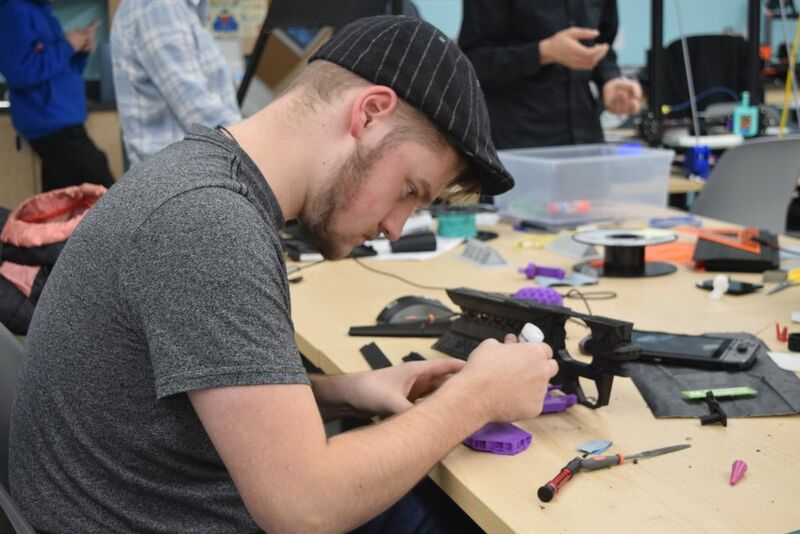 Davis Nyguen, a second-year mechanical and electrical engineering student, is among those who work at the maker space as a robotics technician. To showcase their technological prowess, there is a display table at the space with a wide variety of different creations that students have made. There is a life-sized replica of a Halo ODST helmet from the video game that was crafted by Ryan Kowtechy, as well as a plant pot designed as Groot from Guardians of The Galaxy. First-year architectural technology student Sophie Lecours has also taken advantage of the space. “A couple of weeks ago I found out about the maker space,” said Lecours. She used the 3D printer to develop a staircase for one of her assignments. The maker space still relies on word of mouth. But, Jerabek was very clear in both his vision and message to the college — that everyone should be aware of its existence. Welcome to the MakerSpace, where any thing is possible Reviewed by Keenan Smith-Soro on November 28, 2018 .